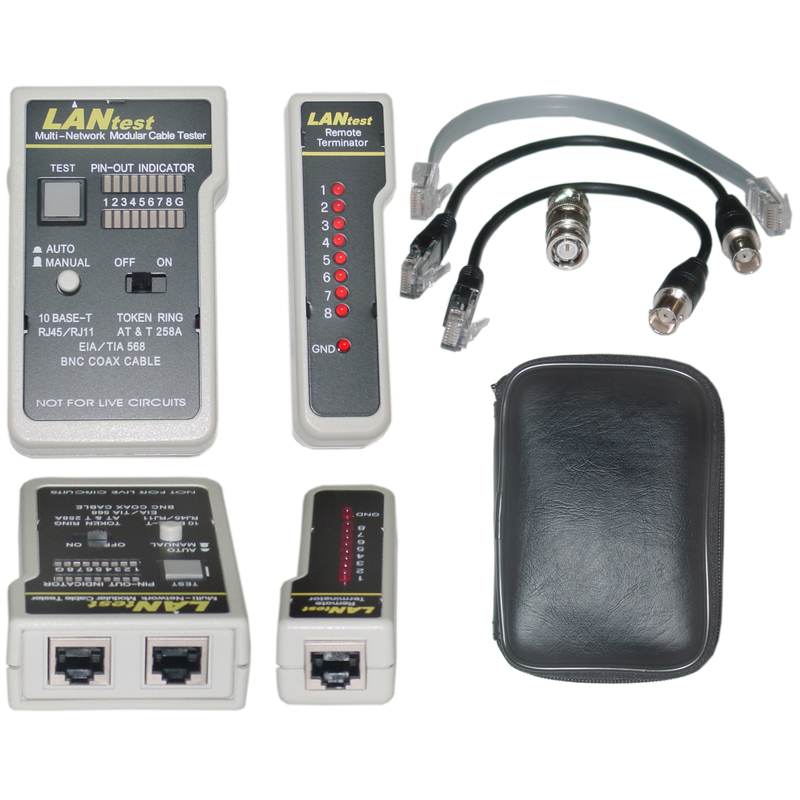 LANtest is a newly designed and very practic	al tester that can easily read the correct pin configuration of 10 Base-T cable (Category 5), 10 Base-2 cable (coax), RJ45/RJ11 modular cables, 356A, TIA-568 A/568B and Token Ring cable by comparing one transmitting end to the corresponding receiving end. With the remote kit it can test cables installed far away either on wall plate or patch panel. It is easy to verify the cable continuity, open, short and cross-connect. It's affordable, so you can benefit the most. More Product InfoThe Lan Tester Network Cable tester Pin Configuration with Wire Map Results is capable of reading the pin configurations of 10 Base-T Cat5 cables, 10 Base-2 Coax, RJ45/RJ11 modular cables, 356A, TIA-568 A/568B and Token Ring cables by comparing one transmitting end to the corresponding receiving end. It can also test for open circuits, wire shorts and cable continuity. The remote kit can test cables that are on a patch panel or wall plate as well as be able to test cables from a distance. Precisely the tool I needed to assure correct pinouts and test connectivity.